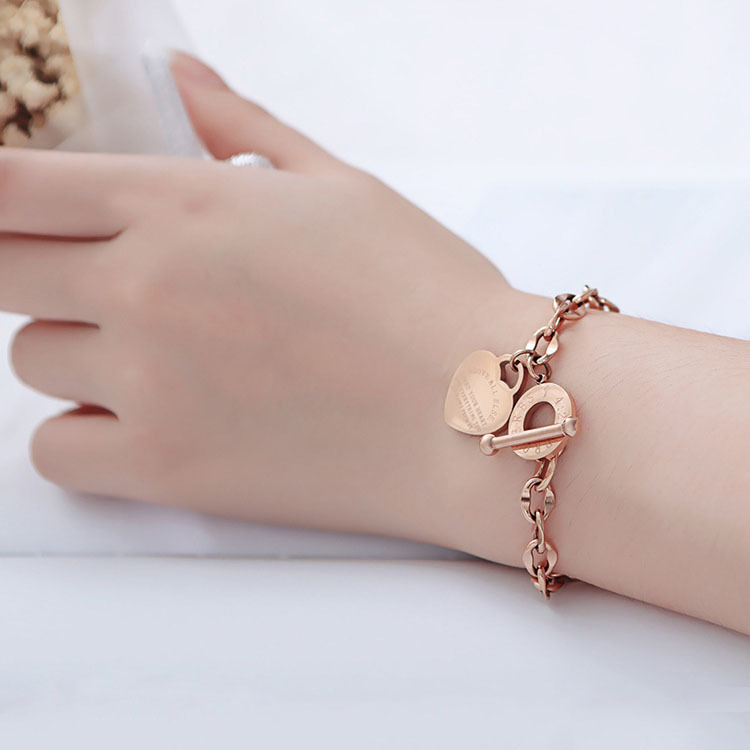 ORDRM wholesale custom stainless steel heart charm bracelet with toggle clasp closure, high polished finished (Length: 18cm) Available silver, IP plated gold, IP plated rose gold color. Logo or massage can be customized on the surface of the heart charm. The material stainless steel will not tarnish or change color. 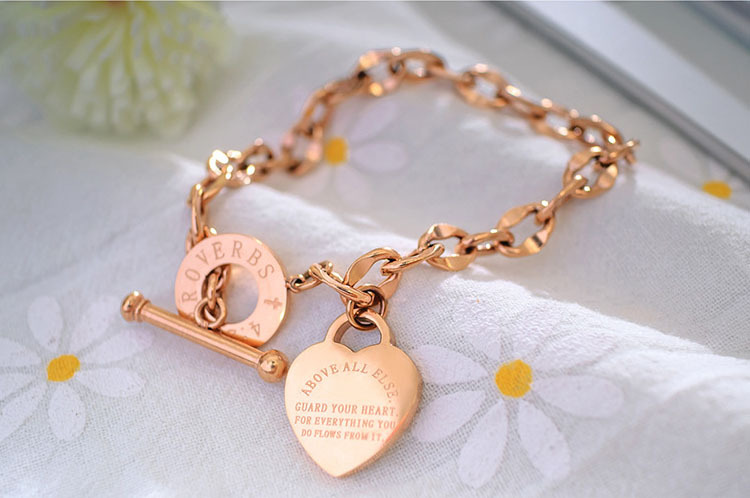 This beautiful and romantic heart charm bracelet will make a great gift for any occasion, especially for valentines day. ORDRM is an OEM manufacturer of Stainless Steel Jewelry. We offer wide range of Fashion Jewelry, including Leather Bracelets, Bead Bracelets, Charger Bracelet and Tungsten Rings. We are committed to provide wholesale price and high quality products for jewelry brands, wholesalers or retailers. Would you like this heart charm bracelet in another color, or even add a personal design? Or do you have your own jewelry drawing? Just send your request to us. Start creating today! Looking for ideal Toggle Clasp Bracelet Manufacturer & supplier ? We have a wide selection at great prices to help you get creative. 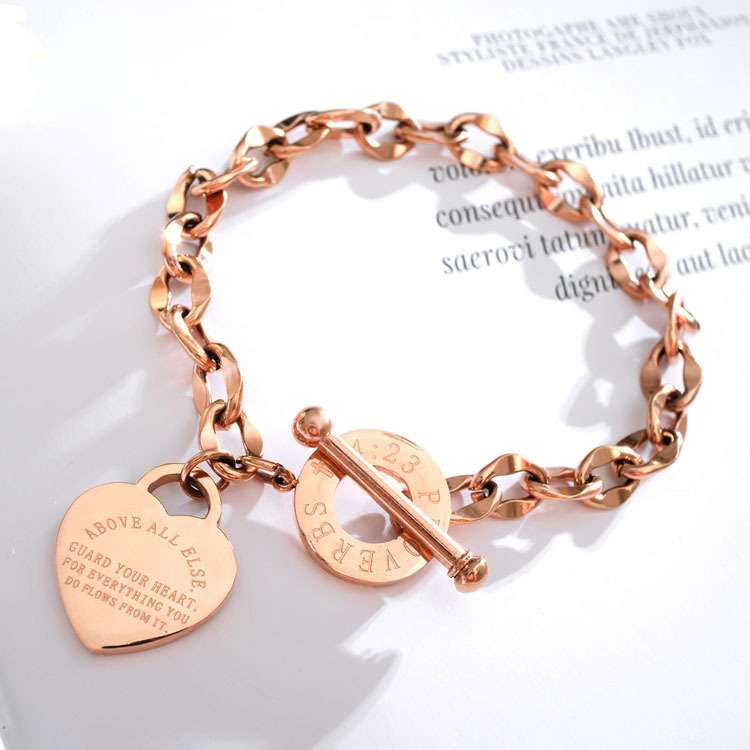 All the Heart Charm Bracelet are quality guaranteed. 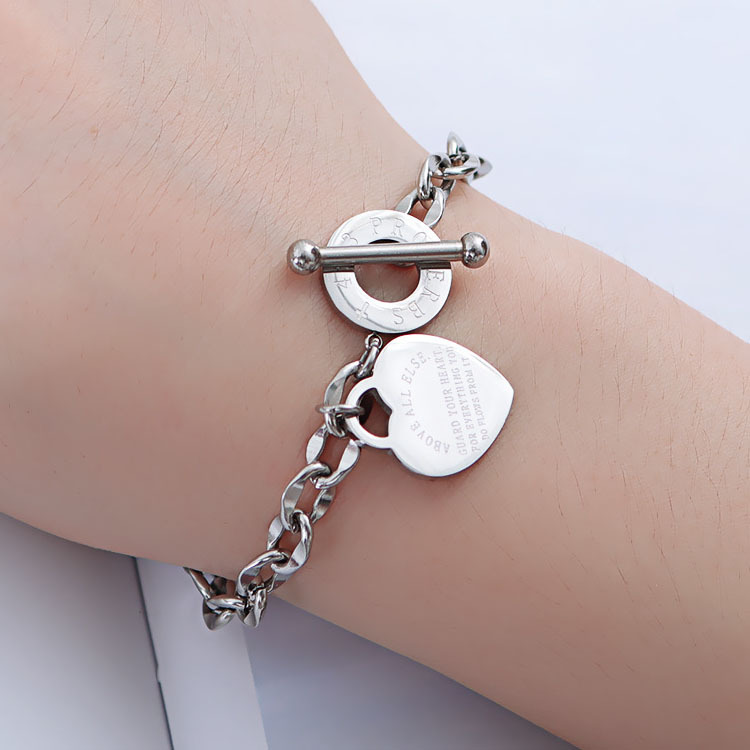 We are China Origin Factory of Stainless Steel Heart Charm Bracelet. If you have any question, please feel free to contact us.